CARBOFIL serves to absorb gaseous pollution and odors. It may be installed for supply and exhaust air in domestic and technical applications. Due to a simple modular construction system, one can easily build large filtration units by screwing base frames together. If needed, gaseous contamination can be absorbed through diverse filtering layers with different kinds impregnated carbon. With its high air flow and gaseous adsorption capacity, it can be used in large application areas such as airports, commercial buildings hospitals, hotels, manufacturing operations, restaurants, shopping centers etc. Gas Filtration Carbocell may be filled with either standard grades or chemically impregnated grades of activated carbon. Un-impregnated grades are used to provide Broad spectrum control of VOCs or where the precise nature of the contaminant challenge has not been determined. Some gases are nor effectively controlled using standard grades of carbon. In such cases, chemically impregnated grades of carbon or other chemically treated adsorbents are used to control specific contaminants. Carbo-V Serves to absorb gaseous pollution and odors. 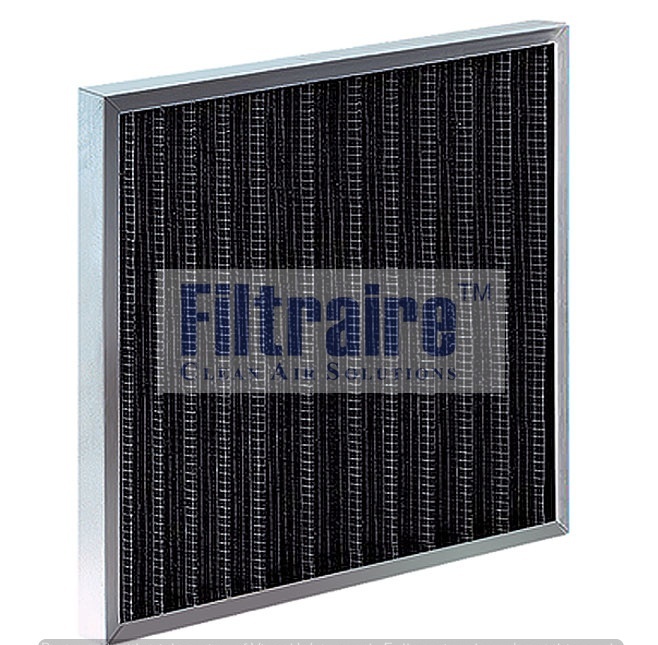 It may be installed for supply and exhaust air domestic and technical applications. Due to a simple modular construction system. If needed, gaseous contamination can be absorbed through diverse filtering layers with different kinds of impregnated carbon. 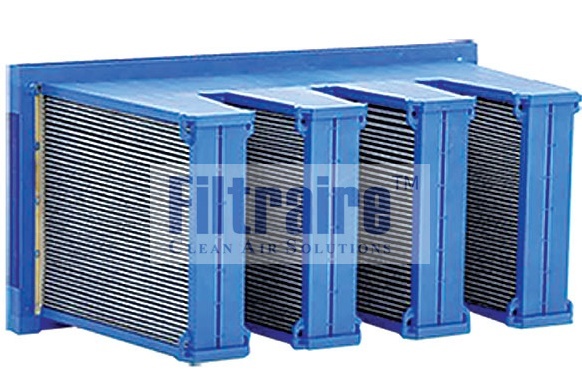 With its high air flow and gaseous adsorption capacity. This construction of each Carbo-V gives a strong unit capable of removing odors from large air volumes at the required contact times for systems. it can be used in large application areas such as airports, commercial buildings, hospitals, hotels, manufacturing, operations, restaurants, shopping center, Etc.